Experto Crede is the official Minnesota Law Review podcast. Get the latest episodes here, Soundcloud, Spotify or iTunes! 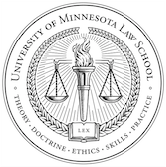 Professor William McGeveran (University of Minnesota Law School) discusses his article, The Duty of Data Security, and highlights where the boundaries for that duty start and end. Professor Rose Cuison-Villazor (Rutgers Law) discusses her article, Sanctuary Networks, and discusses the emergence of a new type of sanctuary. Professor David Noll (Rutgers Law) discusses his article, Arbitration Conflicts, and the recent Supreme Court decision in New Prime Inc. v. Oliveira.